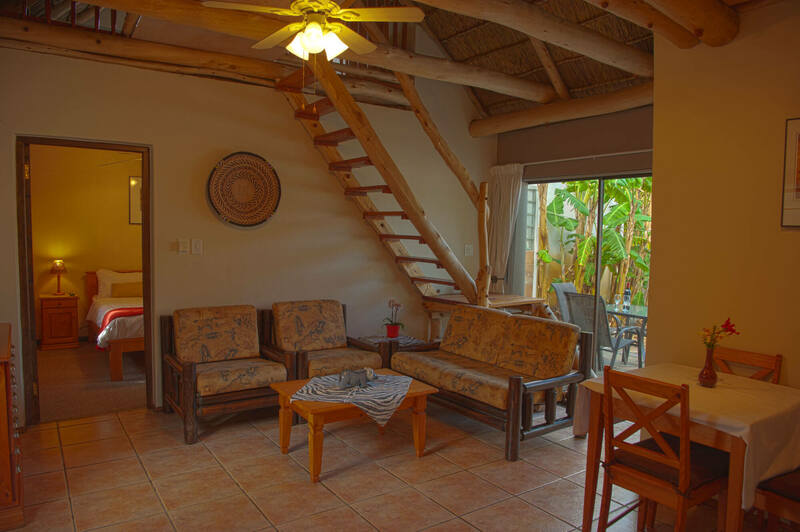 Buffalo is a large, two-storey apartment especially suitable for families. 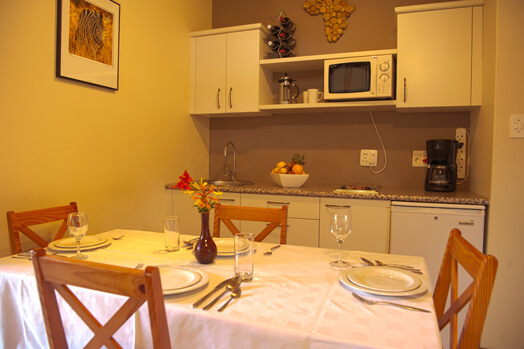 The lower level features a fully equipped kitchenette with a two-plate hob, microwave, fridge, kettle, coffee maker and all necessary cutlery and crockery, along with an eating area and a living room. 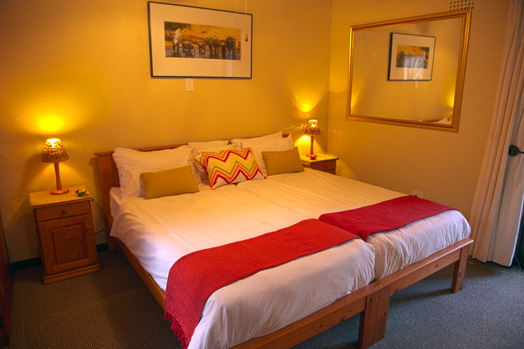 A private bedroom on the lower level has twin beds. 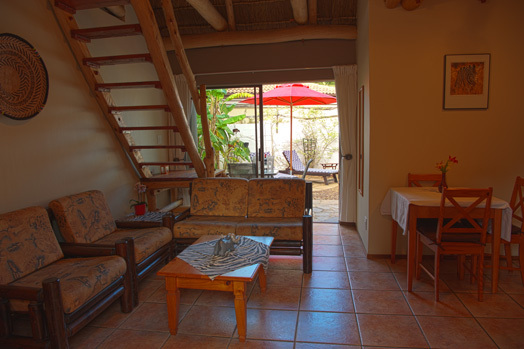 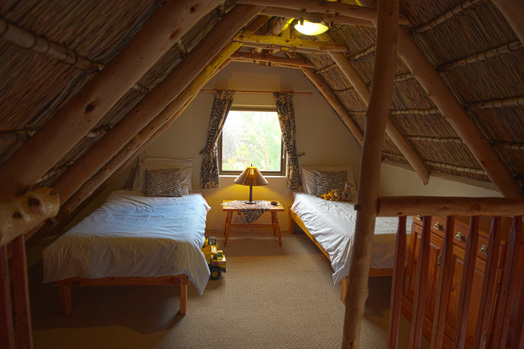 Upstairs is an open-plan gallery under a thatched roof with two twin beds on either side. 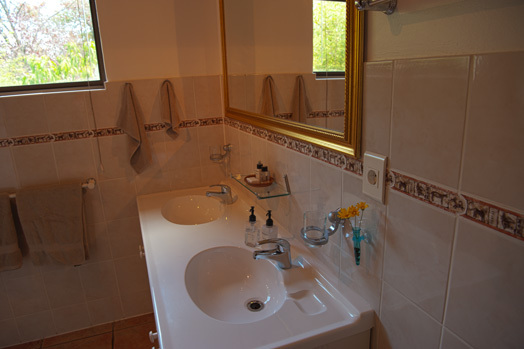 The lower level also houses the bathroom with a shower and a double basin. 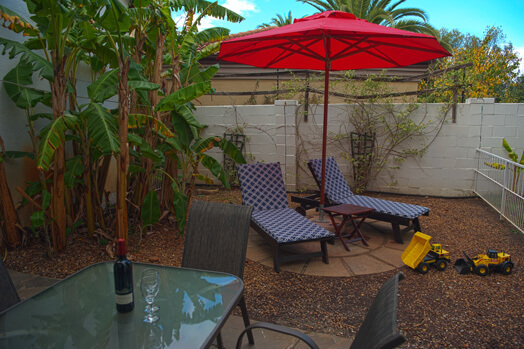 Buffalo has its own private patio featuring banana, lemon and orange trees.